Flashback to a little over two weeks ago. I was tired, stressed out and hadn't had some true pampering time in a very very long time. 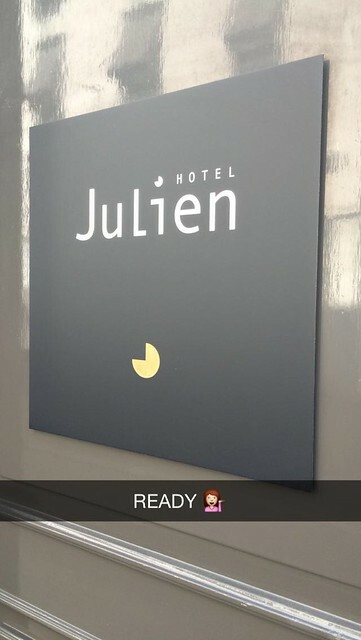 I received a last minute email to ask whether I wanted to be one of the lucky few to meet REN's Head Of Therapy and Training Marielle Alix at hotel Julien in Antwerp and have one of her REN facials. The decision was quickly made: I took the afternoon off, headed for Antwerp's beautiful hotel Julien and finally really relaxed. We talked about my skin, her philosophies on how to take care of your skin and how REN tackles this. My skin never looked so radiant without makeup! 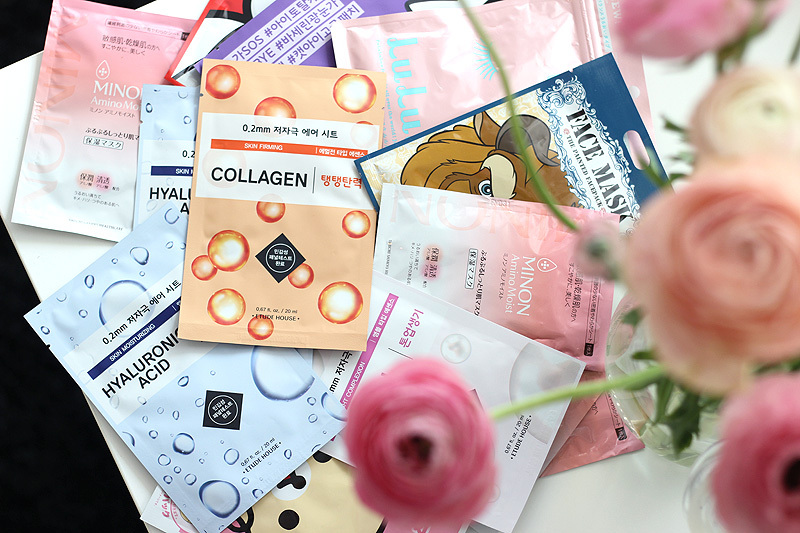 I believe here are two ways of looking at facial treatments: you either deem them too expensive and would rather invest in skin care to use at home, or you swear by them and you treat yourself to one from time to time or much more often if you can afford it. I used to be a member of that clique that just DIY'ed it to the max: facials, mani's, pedi's, you name it. Over the past few years though (it also helped to be off that student budget..) I've learned about the pleasure of having these things done for you while you only need to do one thing: relax. Of course it's all about finding a therapist you trust and feel comfortable with, who works with brands you trust and feel comfortable with. When it comes to facials, it's imperative that you trust the brand used and that the therapist knows what to do with your skin - every treatment should be tailored to who you are and what your skin does. I have weird skin (there, I said it! ), so I don't always feel comfortable with people touching it. When I met Marielle, we talked about my skin and REN's philosophy in skin care, which immediately put me at ease. REN is a British brand that prides itself to have potent products with clinically proven results, using only 100% plant and mineral derived actives and is free from a bunch of synthetic ingredients that are otherwise all too often used in skin care. 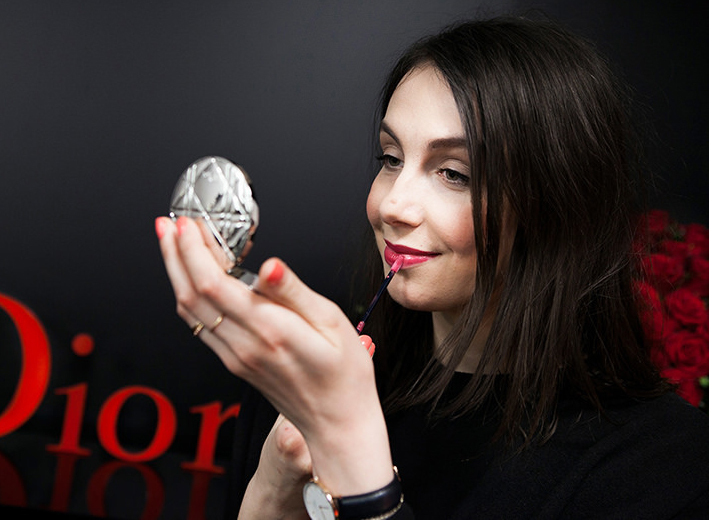 The product are all very fragrant too - which makes using REN products relaxing and enjoyable too. My REN facial was adapted to my dehydrated but also oily skin in order to rebalance it - Marielle looked at my skin before and during the treatment and used the right products judging on what I told her, what she felt and saw. The REN facial is ultra relaxing as it incorporates shiatsu techniques and facial muscle massage that releases all tension and makes you feel absolutely wonderful. Even the part where Marielle cleansed my skin (I was wearing quite some makeup) felt amazing - the multiple applications of a hot cloth infused with their Moroccan Rose felt and smelled wonderful and my eye make-up was removed ever so gently. Marielle then used the clay cleanser Clearcalm 3 on my skin followed by the Glycolactic Radiance Renewal Mask. 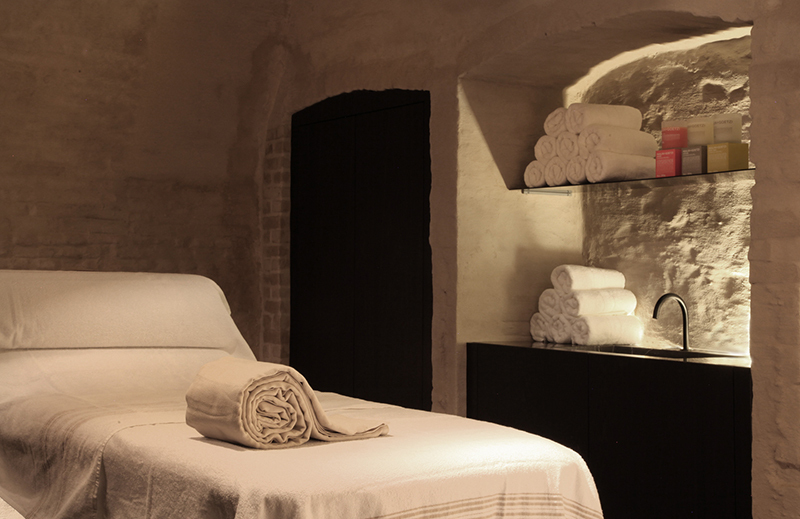 The treatment ends with more of that amazing massage, using REN's potent serums and oils to nourish your skin. The shiatsu massage techniques work on your inner energy and make you feel rejuvenated. I walked into the spa feeling stressed and suffering from a lot of tension in my face - I am a teeth grinder and clencher which can be very painful and difficult to relieve. I walked out of the spa feeling like a new self - the tension in my jaws was gone and I felt totally zen, relaxed, calm and balanced. It's difficult to describe this feeling as it's nothing you can judge by a picture or the glow of your skin, but it was definitely there. My skin looked positively radiant and glowing - I don't usually like stepping outside in the city without makeup on but I felt super confident to do so. I didn't even think about it twice. 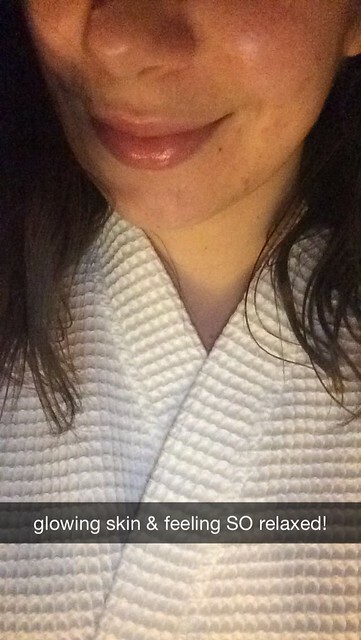 You can probably already guess that this facial was an amazing experience for me. It was my first REN facial and as I promised the spa manager Marc Tubex when I was ready to leave the hotel: it won't be my last. 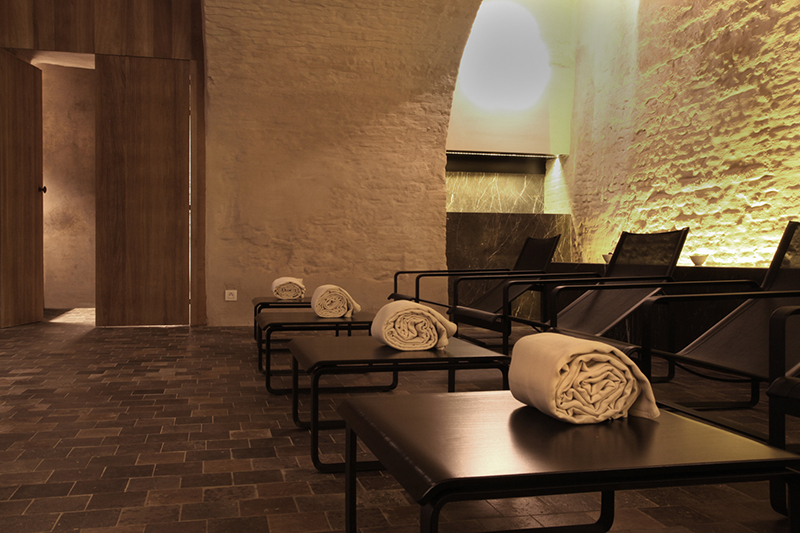 There are some great spa formulas that you can reserve in Hotel Julien's spa; you can for example rent the whole spa (including a hot stone, hammam, sauna and scrubbing sessions) for two hours with your mom, friend or partner and each enjoy a 60 minute treatment while the other relaxes in the spa. 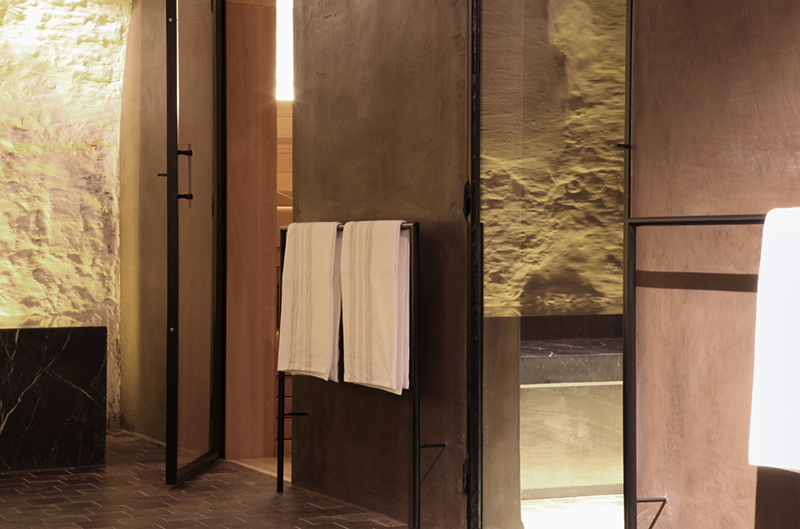 The spa is always for private hire, so you don't have to worry about sitting in that hammam with someone you've never seen before. 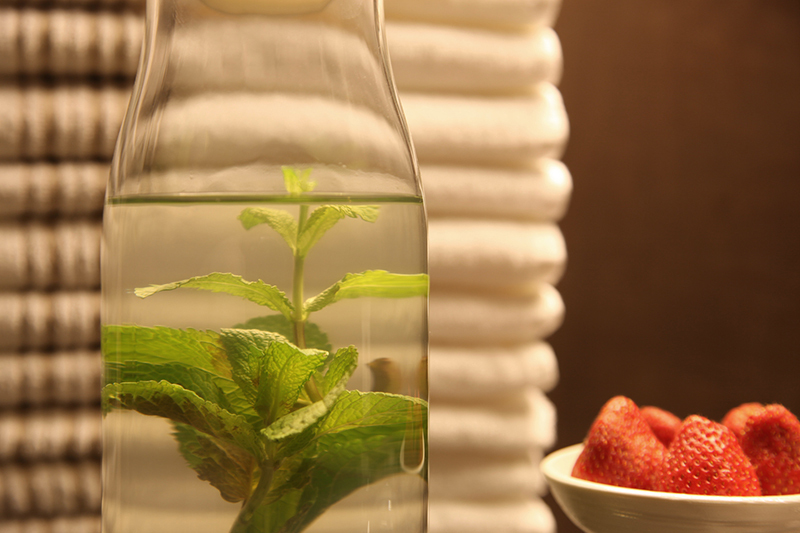 You can find an overview of all the REN treatments the spa has to offer here. 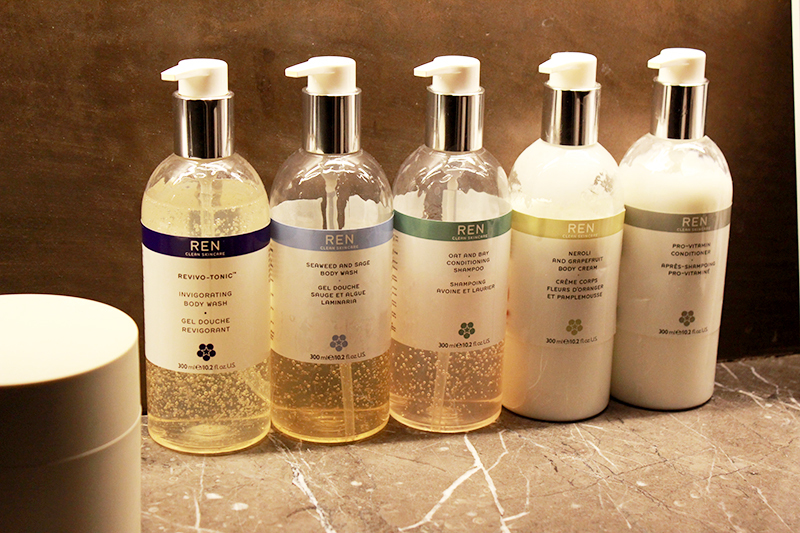 The spa also sells all REN products including the very newest releases, which can be hard to find in Belgium.